Puppies have arrived safe and sound. We have been blessed with black and white and chocolate girls and boys. We have quite a waiting list at present but feel free to express your interest. Please feel free to register your interest. All puppies will be on Limited register Only. We will only breed a litter every now and then but when we do we hope that they go on to do great things. 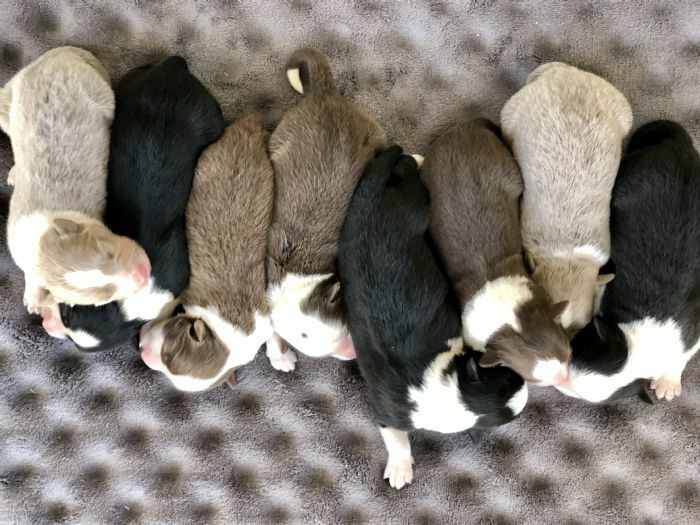 In a test of learning, puppies that have been through early stimulation are more active and explorative, and solve simple tasks quicker and with less stress. Generally speaking one can say that genetics can account for about 35% of a dogs performance and behavior. For the rest its up to breeder (and later owner) to influence and shape the dog through management, training, and nutrition. (Socialization, Environmental enrichment and training together with Early Stimulation.) Each has a cumulative effect and contributes to the development and the potential for individual performance. Our puppies will come to you well socialised with children and other family pets so that they are ready to face the world being used to new sights and sounds as well as everyday noises. My puppies will be Registered with Dogs Queensland (CCCQ) on the Limited Register unless otherwise arranged. Main Register may be considered under the right circumstances, please feel free to discuss these with me but don't be offended if I ask a lot of questions. No puppy will leave my care before it is 8 weeks of age, no exceptions! 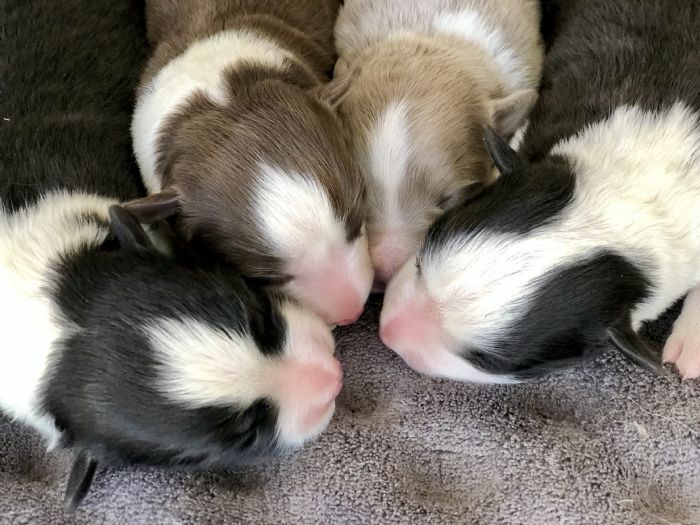 We are aware of our girls and boys DNA status for hereditary diseases and will never mate a combination that will produce puppies who will have these known diseases. If you are considering a Chocabloc Puppy please read our Sale Conditions which can be found in the link at the top of the puppy application page. Interstate Freight can be Arranged.